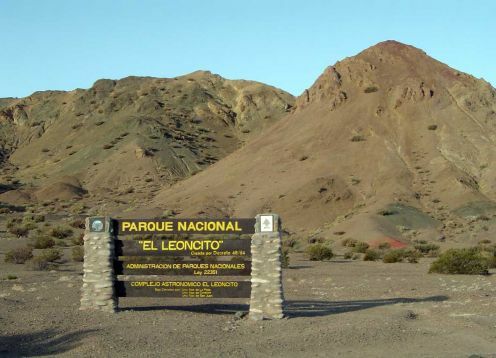 El Leoncito National Park is located in the southwest of the province of San Juan, in the Department of Calingasta, on the western slopes of the Sierra del Tontal. It reaches an area of 89,900 hectares, in which the eco-region of Monte de Sierras and Bolsones, Puna and Altos Andes are intermingled. From Mendoza, by RN 7 until Uspallata, and from there RP 39 until the access to the park. San Juan-Barreal: 08:30 and 20:30 hs. Barreal-San Juan: 02:30 and 14:30 hs.